If you want to play real money slots gaming on your Android device, you need not be so worried about how much space it will take on your handset anymore. Back when mobile gaming first began, it was often the case that you would need to download software to your phone. For that, you obviously needed to have enough space to cover such software. However, things are different today. All of your favourite 3-reel and 5-reel internet slots are available without the necessity for such. You’re able to access Android slots apps via the Google Play Store, if you so wish. As an alternative that is much more common now though, you can play them directly via your Android’s web browser. This means that you don’t have to wait for a software download, or have free space on your device. Simply access one of the recommended Android casinos from our list and no-download access is usually available for Android slots gaming. How Do I Know That My Device Will Allow Real Money Slots Apps? So, Which Slots Apps Can I Play on My Android? While the main mobile companies of Android and Apple have both been quite verbal about their opinions of online gambling, the Google Play Store still always used to offer such apps to players. These would provide gamers with the possibility of downloading slot games to play via their Android. It then came to pass that the Google company denied real money wagering games via its store. Apple went in an opposite direction, first outlawing it and then introducing such apps in 2013 to the iTunes App Store. Of course, these two companies are the biggest in the world, so competition is always fierce. Things chance on a frequent enough basis for us to know that potentially, the Google Play Store will reintroduce such apps. That being said, you’re also able to download slots apps directly from casinos that provide them for Android handsets. 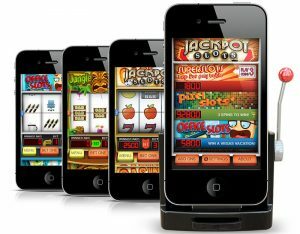 As we said previously, slots apps are either available as downloads or already integrated into a mobile casino platform. Some casinos offer both, while some provide one or the other. Regardless of which way you choose to play slots on your Android, you’ll get the same fast-paced and exciting game quality. It’s much more common these days to see internet casinos that provide web browser-integrated slot offerings. Web browsers on mobile phones have come a long way since the original incorporation of them. That’s why they’re very apt for slots apps. Android phones also come with advanced processors and stronger capabilities. The entire operating system is very much able to cater to slot games easily. This not only relates to slot games, but also to other offerings, such as Android blackjack apps and roulette. It’s true to say that there are many online casinos available today. A vast proportion of these are also accessible via a mobile device, regardless of make. However, if you know which of these you can trust, and which work better with Android handsets, it makes things a little bit easier. The reputation and trust parts come from the licence that the platform holds. If it’s the holder of at least one gambling licence, you will know that it is operating legally and fairly. This is a key point when it comes to online gambling apps of any kind. Secondly, if you want to find a platform that works well with your Android, you simply need to check out the collection that we have gathered together. There are several links to these that can be found on our website. And not only do they come with appealing Android slots apps and overall site designs, but intriguing promotional offers too. So, you’ll be able to benefit in more ways than one. Of course, you may wonder how exactly we came to the opinion that these are the best platforms for Android slots gaming. And it’s a good question. The answer is, that we have meticulously scoured through every part of these casinos in order to check out everything that they provide. From the types of slots that they offer, from which developers these come, right the way through to how their customer support is. Therefore, you can always guarantee that the platforms that we recommend are the very best for Android slots apps. That’s why we suggest that if you’re wanting to begin slot gaming via your Android device, make sure that you check out this section of our site beforehand. We love slot games, and a considerable number of mobile gamers are of the same mindset. If you’re an Android handset user, then we can inform you on the way to play your favourites via such. It’s often the case that people will think of iPhone devices as being the prime mobile gaming handsets. However, those mobile phones that incorporate the Android operating system are just as capable. It’s also true to mention that in some cases, they’re even better than the Apple brand of phones. 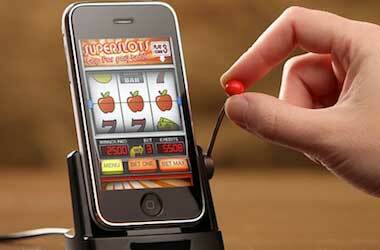 Fortunately, if you want to involve yourself in playing slot games via your mobile, we can help you out. In this section of our website, we aim to provide you with all of the details relating to playing slot games on your Android handset. Alternatively, if you are an iPhone user or a Windows phone user, we have separate sections to talk you through this process. However, Android users feel free to browse through this area of the site. We’ll give you all of the information that you need in order to successfully access and begin playing slots on your phone. It’s easy to do and works in a sort of step by step routine. You can pretty much guarantee that by the end of the section, you’ll be fully informed on slot gaming on your Android. As we all know, Android devices are just as popular as the Apple iPhone, so many users utilise such for mobile gaming. 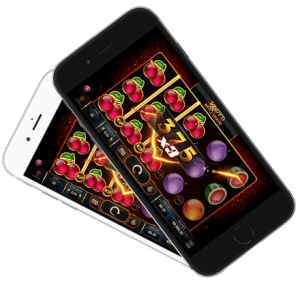 Of course, if mobile gaming is something that is new to you, then you’ll notice some differences between the desktop versions of slot games and the mobile versions. Of course, most mobile devices are now touch screen operated. Therefore, the slot games are also optimised for touch screen technology. This may be something that you need to become accustomed to, which our guide will certainly help you out with. Not only that, but there may be some slight differences in how the games work too. Fortunately, we’ve got all of the details that are necessary for you right here to help with this. In addition to this, we can advise you on some of the games that are the best to play via an Android device too. While most games are mobile-compatible, it’s true to say that some of them appear better on an Android device than on others. We’ve got the low down on which of the many slot games will be more appealing on your mobile phone.